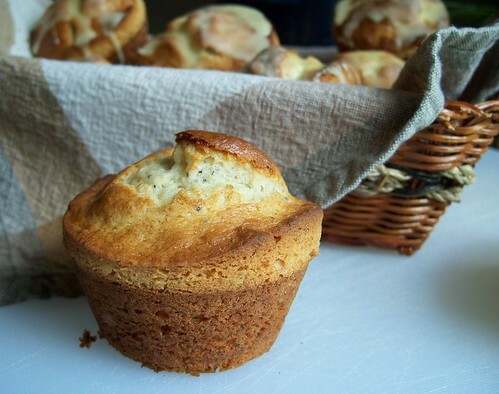 This recipe is never going to be the diplomat to settle the ‘muffin or cupcake’ debate. It may not have piles of buttercream on top, but it certainly is covered with a sugary glaze. While it does have fruit in it, it also has plenty of sugar inside (not just on top) and not a whole grain in sight (although that could be easily modified). The Tartlets liked snacking on these, so I’m glad I made a double batch and we have some left for tomorrow morning too. 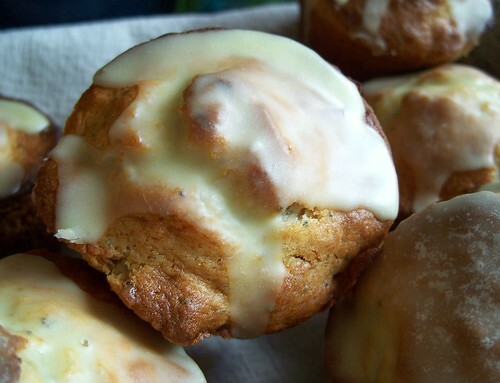 These are even good without the glaze, in case you wanted to trick yourself in thinking it was a standard morning muffin. Your taste buds will know, but it’s not like I’ve never indulged in a little self-delusion here and there. There are worse things to deceive yourself about. For instance, I keep thinking I have more time before certain deadlines. Calendars are a real help, but when you forget to look at them, they aren’t. It certainly makes life more interesting when you think you have another week before something comes up, only to find out that ‘week’ was a figment of your imagination. But I’m glad these muffins are real and I’ll be glad to have one for breakfast tomorrow, as I tell myself it’s a ‘breakfast cupcake’. 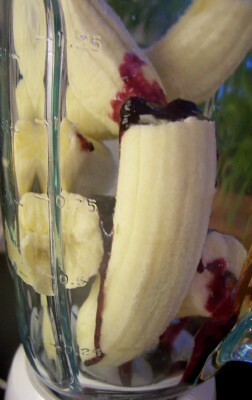 In a medium mixing bowl, beat bananas until soft and smooth. Add egg, sugar, butter, and orange peel and mix until well blended. In a large bowl, combine flour, poppy seeds, baking powder and salt. Stir banana mixture into flour mixture until evenly moistened. Spoon batter into greased or paper lined muffin cups. Bake 20 minutes or until wooden pick inserted in center comes out clean. Remove from pan; cool on wire rack. Top with citrus glaze while warm, if desired. In a medium bowl, combine all glaze ingredients and stir until smooth. Do you remember the Highlights magazine from your youth? I didn’t have a subscription as a kid, but there were tons of copies in our local doctor’s office and I loved to search for the hidden pictures while I waited. The In-Laws gave Tartlet 1 a subscription to the magazine a couple of years ago, and she and Tartlet 2 have enjoyed the stories and activities. This year, the In-Laws also gave Tartlet 3 a subscription to Highlight’s High Five, and at age 5 there is little more exciting than getting your own mail, especially your own magazine! 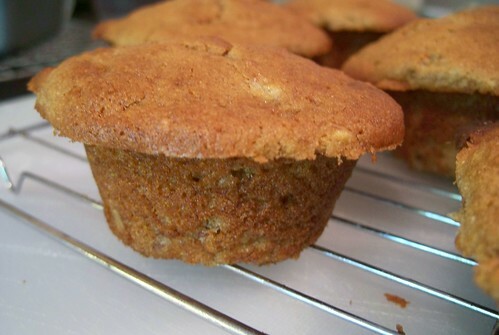 In the magazine that just arrived, there was a recipe for ‘Monkey Muffins’, a whole wheat banana muffin. Of course, the magazine depicts a smiling mom and daughter pair in a spotless kitchen and the kid manages to crack the egg into the batter without getting egg shells in the bowl, but we managed our own version just fine. And I have to say that Tartlet 3 was thrilled we made these together. She and Tartlet 4 helped fill the muffin tin, with overzealous hands, so the muffins spread quite a bit on top and we still had enough batter for a mini loaf. I think it would make about 15-16 muffins normally. Tartlet 3 gave them a critical taste test and declared them to be wonderful and said we need to keep the recipe so we could make them together again. 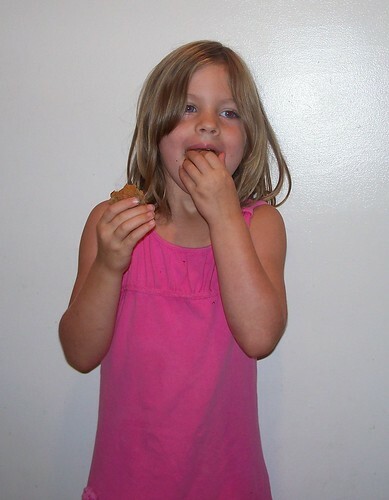 They are nice and tender and have a good taste, and we will probably make them again soon. 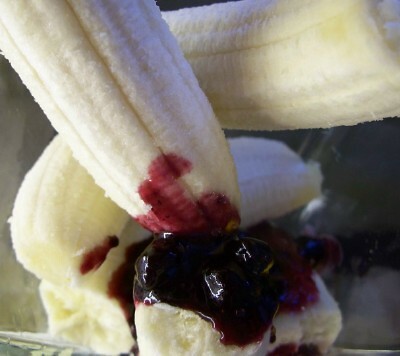 Cut four bananas into pieces and mash them. Put flour and baking soda in a mixing bowl. Put shortening and sugar in a large bowl and beat until creamy. Add eggs and mix. Add bananas, salt and vanilla. Mix well. Add the flour mixture and sour cream. Mix well. Fill muffin cups 1/2 full. Bake for 15-18 minutes. Makes 12 muffins plus a mini loaf. I had three rather old bananas sitting on the counter and decided I wanted to make something other than The Same Old Thing, however good it is. So I made cookies with them, using a recipe I modified from an old Betty Crocker recipe. They aren’t overly sweet, but have a good flavor and texture. Heat oven to 400 F. Place all ingredients except chips in mixing bowl. Beat until well blended. Stir in chips. Drop dough by teaspoonsful on ungreased baking sheet. Bake 10-12 min. Makes about 4 dozen cookies. Well, that sounds better than “I made mud balls!” It’s probably Myriam’s fault, with her Brownie Babe of the Month contests. Yeah, I think I’m going to place all the blame on her for my latest brownie cravings. I can’t, in all honesty, blame her for the dried cherry or pistachio cravings, but I keep wanting to put them together, in a brownie. Last week I made an old ‘Texas Brownie’ recipe I had and added cherries and pistachios but I made it in the smallest of the pan sizes suggested and I ended up with a brownie cake. Tasty, but not quite it. Just enough mix of chocolate, dried cherries, and pistachios to make me want to make more. But when the heat index is 105 F, turning on the oven seems absurd. What could make me more of a Brownie Babe than making no-bake brownies to satisfy the cravings? I pulled out a recipe that one of The Husband’s former co-workers gave me a few years ago. Vegan brownies. Hmm, no notes on the page, but I vaguely remember the last time I made these they were too gooey. But I’m pretty sure the time before that they were not exactly firm, but had a decent texture. Well, with a memory like this and no notes to go on, I’ll just follow the recipe and see how it goes. Recipe says to make a day ahead for best flavor and texture, so I poured it into a parchment lined pan and left it in the fridge for a day. Then I tried to cut them and they were *very* sticky. Edible, but when left out of the fridge for very long they were rather messy. So I rolled them into balls and dipped them in a mixture of sifted powdered sugar and cocoa. Very tasty. The kiddos gave them hearty approval. In a small non-stick skillet, cook together the chocolate chips and margarine, stirring often, until the chips are thoroughly melted. In a bowl, stir together flour, sugar, baking powder, and salt. 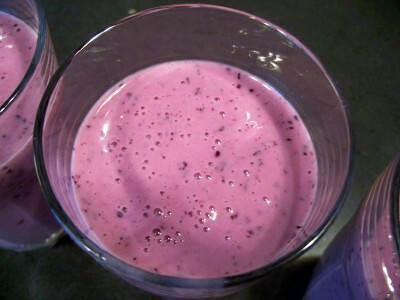 In a food processor or blender puree the bananas and continue to process for 2 minutes until light and fluffy. 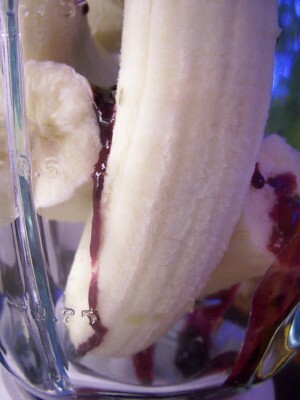 Add pureed bananas and vanilla to the dry ingredients and stir well. Add melted chocolate chip mixture and stir until batter is very smooth and then fold in walnuts. Spread into 9 x 13 pan. The recipe called for dark rum but I only had light rum on hand and I didn’t want to buy a bottle of dark rum since I might well never use it again. When we stayed at the resort on St. John they gave us a freebie bottle of Cruz Bay dark rum and it was disgusting . . . it smelled like cleaning solution or something and when we tried it with a fruity mixer we both felt ill. Later we learned that dark rum really isn’t meant for fruity mixers (we’re willfully ignorant when it comes to most alcohol info) but we were so turned off that we just cringe at the thought of dark rum. Having said that, I think it would be better in this recipe b/c this is precisely where the stronger flavor would do well. 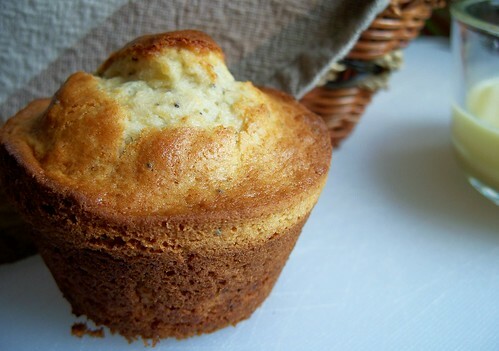 The rum and Cointreau do not stand out strongly in the flavor of this bread/muffin but they accent it nicely. 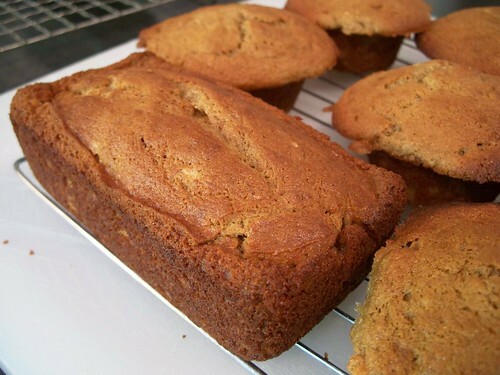 It’s better than a simple banana bread. I would make this again. Preheat oven to 350 F and butter a glass loaf dish. Take 1 Tbsp of the flour and lightly coat the bottom and sides of the dish. In a large bowl using an electric beater combine the sugar and butter. Add the Cointreau, rum, bananas, milk, and eggs. Sift together all dry ingredients and add to butter mixture. Beat until combined, but do not overbeat. Bake for 1 hour and insert a toothpick to check for doneness. Continue baking until toothpick comes out clean. I made these as muffins rather than bread and it made 20 muffins. If you ever look at the ‘Today’s Favorite Recipes’ on the side bar, which just counts the top page hits, you’ll notice that Banana Blueberry Muffins is always at the top. It’s a popular search result and gets 10-30 hits per day. It’s a good recipe. I make it a lot myself and have been making it for years. 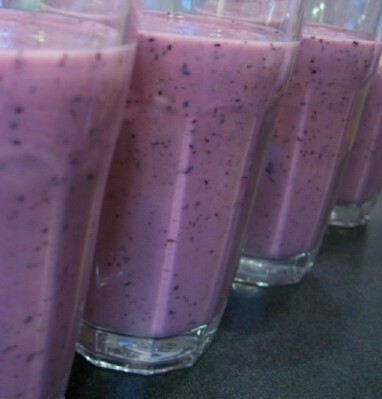 I look at it as a good base recipe from which to springboard into new flavors. 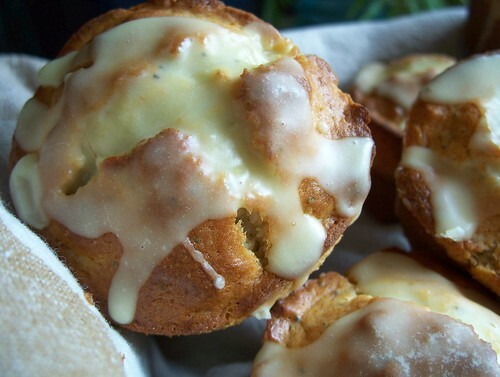 Like the Coconut Apricot Hazelnut White Chocolate Chip muffins pictured on that page. Some people would consider that a whole new recipe. I don’t. I consider it a variation. Yesterday was Black Forest Cake Day and I didn’t make one, but I’ve been thinking about one for a couple of weeks and maybe that influenced my baking this morning. I wouldn’t call this a ‘Black Forest Muffin’ by any stretch . . . not enough chocolate and no whipping cream in sight. But I used up some leftover cherry chips and a half bag of mini chocolate chips on hand, then I added some homemade granola (not *my* homemade granola, but some given to me) in place of nuts, which aren’t usually featured in BFC. 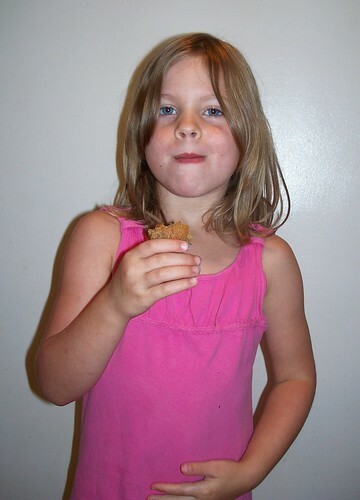 Thing 2 said these are the best muffins I have ever made b/c she loves the cherry chips.